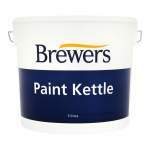 Water based, high opacity, eggshell finish for interior high traffic areas & trim. 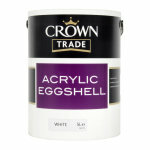 Crown Trade Acrylic Eggshell is a low VOC content eggshell finish. It is a washable product which is thinned with water and is applied by brush, roller or airless spray and is suitable for interior use. It is touch dry in 1-2 hours and recoatable after 4 hours. Being a water based eggshell it is a tough, durable mid sheen finish for interior plaster and wood. 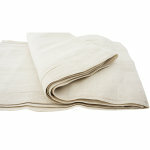 With a highly scrubbable finish it is an ideal product for high traffic areas such as hallways, kitchens and bathrooms. 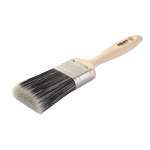 It can be applied over most previously painted surfaces without an undercoat. On new plaster surfaces thin the first coat with water to the manufacturers recommendations. On new wooden surfaces apply over the top of a suitable primer. 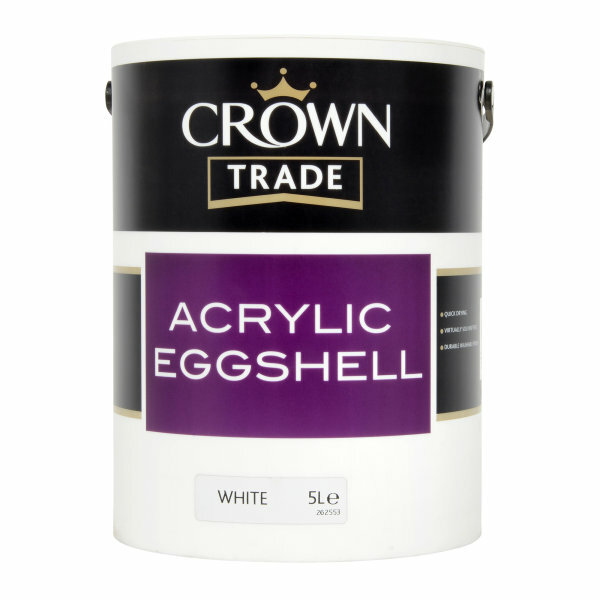 Crown Trade's Acrylic Eggshell offers the professional an acrylic paint with similar characteristics to those offered by a conventional solvent-based eggshell paint. These characteristics have resulted in increased durability, superior colour retention, quick drying, a minimal VOC level and a virtually solvent free formulation which makes Crown Trade Acrylic Eggshell the modern alternative to traditional solvent based paints. Ensure all surfaces are sound, dry, clean and free from dirt, oil, grease or other contamination. Prime new dry plaster or porous surfaces with Crown Trade Acrylic Eggshell, diluted 40% by volume with clean water. 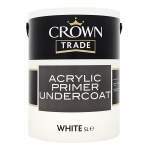 Previously painted surfaces should be thoroughly abraded and washed down, before painting with Crown Trade Acrylic Eggshell. Avoid the inhalation of dust. Wear a suitable face mask if dry sanding. Please check for colour accuracy prior to application. 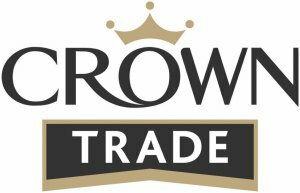 Crown Paints is not liable for decorating costs caused as a result of an incorrect colour being applied. Always intermix packs for colour consistency. Stir gently. 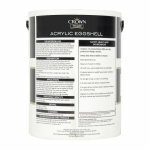 Crown Trade Acrylic Eggshell may be applied by brush, medium pile roller or airless spray. Two coats are normally recommended. Deep colours may require an extra coat. 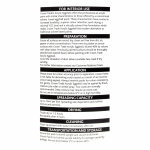 Do not use in temperatures below 8°C or in high humidity. Up to 16m² per litre. Spreading rate dependent upon surface texture and porosity. Touch dry in 1-2 hours. Ensure this pack is stored upright and secure at all times. Do not store below 5°C or above 40°C.